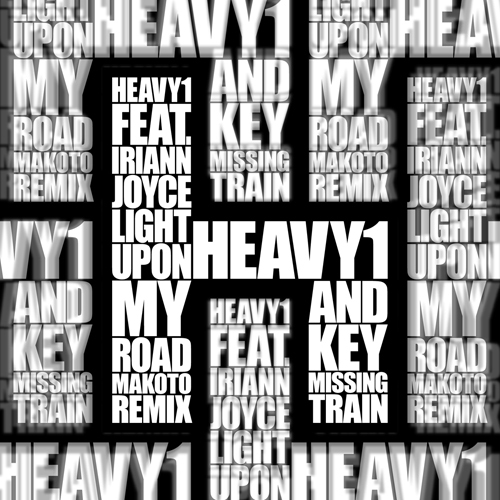 HE:Digital’s 11th release features a coupling of “Light Upon My Road (Makoto Remix)” and “Missing Train,” both from the forerunner of Japan’s new-school drum & bass scene, Heavy1. In recent years, Heavy1 has been receiving wide support from around the world, particularly after he lunged into the international spotlight with the inclusion of his track “Millers” (Samurai Music) on DJ Marky’s “Fabric Live 55” compilation CD. 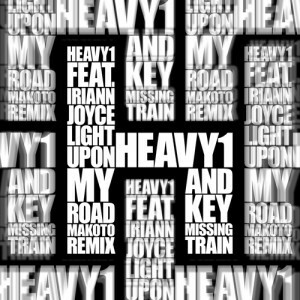 From Heavy1‘s debut album “Minimalized”, “Light Upon My Road” undergoes a musical makeover courtesy of Makoto for this release. Featuring lush, full vocals from Venezuelan singer Iriann Joyce as well as Makoto’s distinct, fresh sense of arrangement, this remix stands as a beacon for what’s to come in the future of drum n’ bass. Techno with drum n’ bass sensibilities, “Missing Train” grips the listener with Heavy1’s powerful beats and basslines balanced out with Key’s enchanting vocals. Heavy1 and Key’s extensive teamwork can also be found throughout his “Minimalized” EP, and here with “Missing Train” these two will lead you into a whole new world of sound.